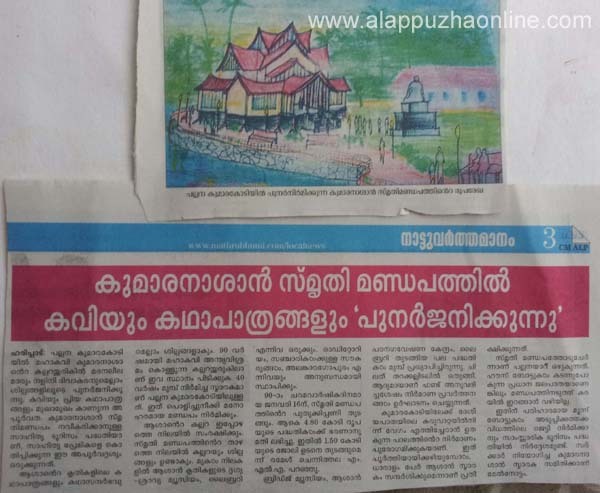 Kumarakodi, at pallana Alappuzha, the tomb of mahakavi Kumaranasan -one of the greatest poets of Malayalam Literature . The poet was laid to rest here after meeting with an untimely death in a boat accident in the adjacent Pallana river in 1924. 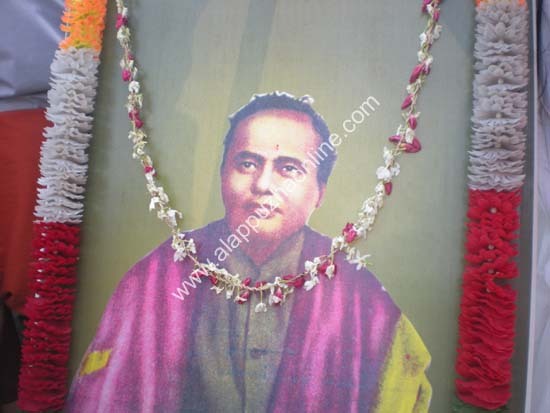 The poet's death anniversary is observed on january 16 th every year. A new memorial is being build at kumarakodi. The memorial will be in the lines of the shakespeare memorial in the uk. The omplex will contain an audio visual museum , library, and an auditorium . .
To be held on 2018. . Location: pallana . .. ..